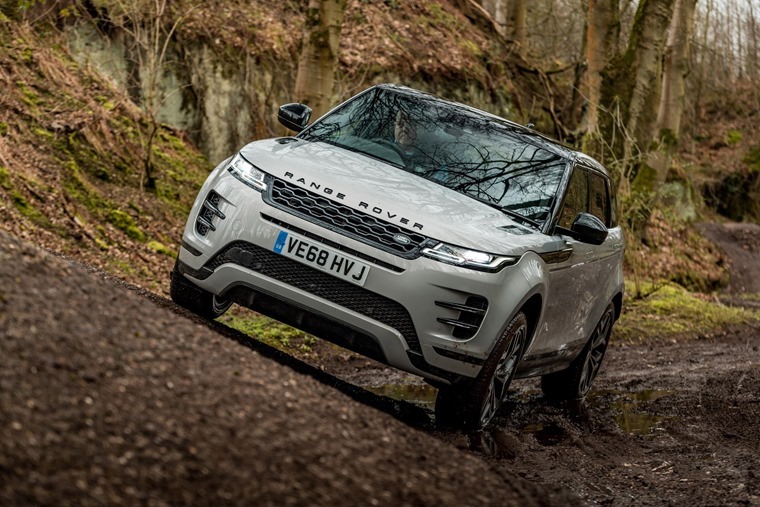 The new Range Rover Evoque has become the first luxury compact SUV to be certified under stringent new NOx emissions targets, ahead of schedule too. 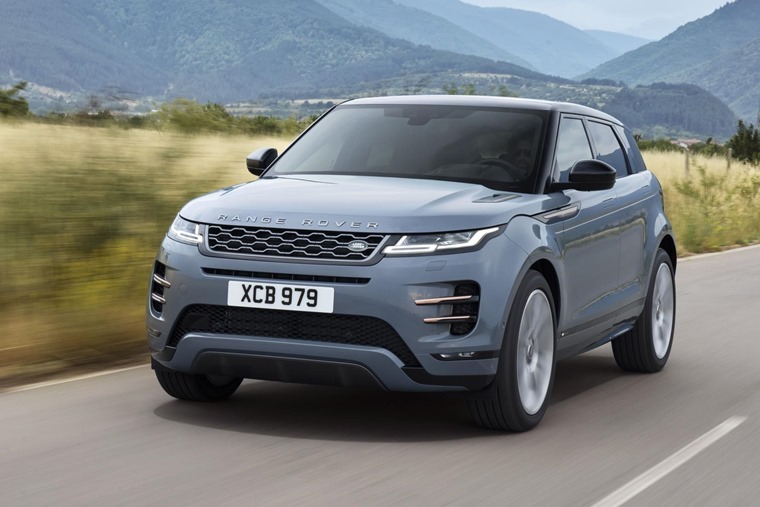 All Jaguar and Land Rover models already meet the standards required by the first phase of the Real Driving Emissions (RDE) testing procedure, but the new Range Rover Evoque in D150 manual Front Wheel Drive trim now complies with the even more rigorous second-phase requirements (RDE2). RDE2, which state that vehicles must emit 80mg/km or less of NOx, is set to be introduced for new models in January 2020. Jaguar Land Rover have achieved this early certification by using advanced engine and exhaust technologies. 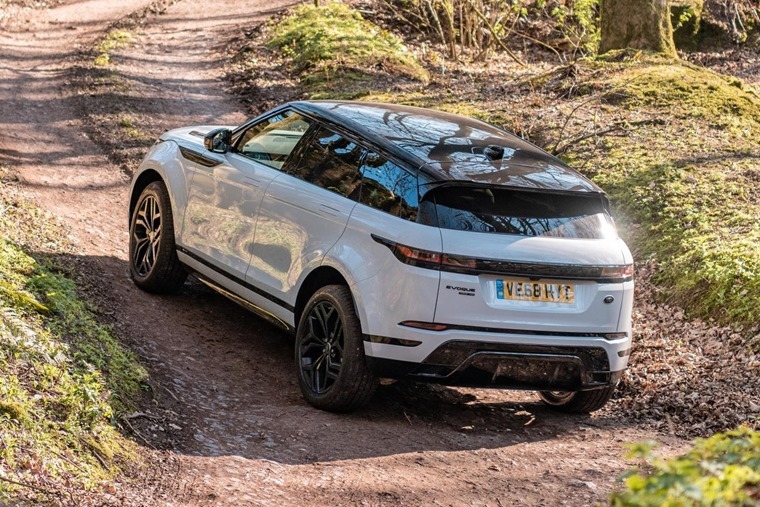 The intelligent exhaust on the Evoque monitors and treats NOx emissions, making the latest D150 manual Front Wheel Drive model comparable to a petrol engine, while offering the fuel consumption and CO2 benefits of a diesel vehicle. The system injects AdBlue diesel exhaust fluid into the exhaust gas, where it reacts with the NOx and converts it into harmless nitrogen and water. NOx emissions are also minimised during warm-up as the vehicle reaches optimum temperature. In addition, efficient Diesel Particulate Filters are neatly integrated into the after-treatment system and trap 99.9 per cent of soot as the exhaust gas passes through them. 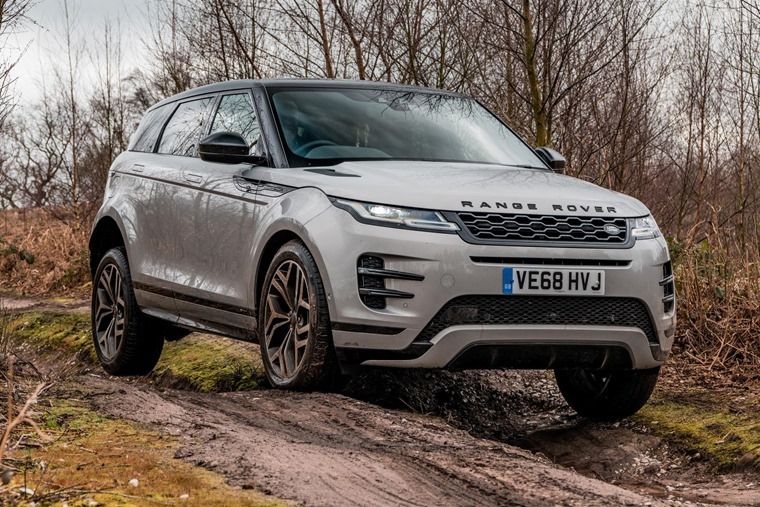 The news comes following the Range Rover Evoque being awarded a maximum five-star Euro NCAP safety rating, confirming its status as one of the most refined, capable and safe SUVs on the market. The luxury compact SUV scored 94% for adult occupant safety – the highest safety score of any Jaguar or Land Rover product to date. It also received 87% for child occupant safety in the toughest test programme to date. This second generation of Evoque should prove as popular – and as affordable – as the first one. Residual values are set to be more impressive than any other car in its class, with 63% of its value retained after three years. It ushers in fresh styling, a new platform as well as new mild-hybrid tech and, as has been the case with hatchbacks of late, it will no longer be available in three-door form: only a five-door model will be offered. At a glance, it doesn’t look like much has changed. 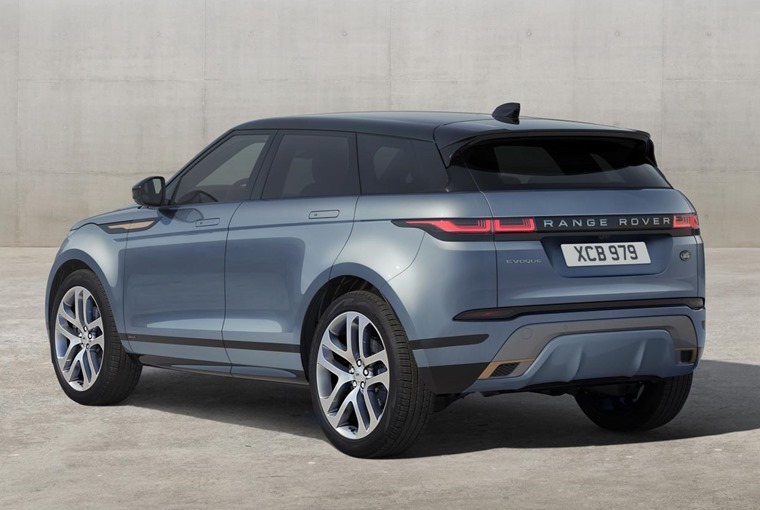 But there’s a new set of LED headlights up front, a fresh set of bumpers and most notably a set of integrated door handles that are flush with the bodywork on the move – just like the Velar. A host of options will be available, with all models featuring 17in alloy wheels, with options up to 21in. The same colours as the outgoing model remain available, although Molita Grey and Seoul Pearl Silver have been added to the list. 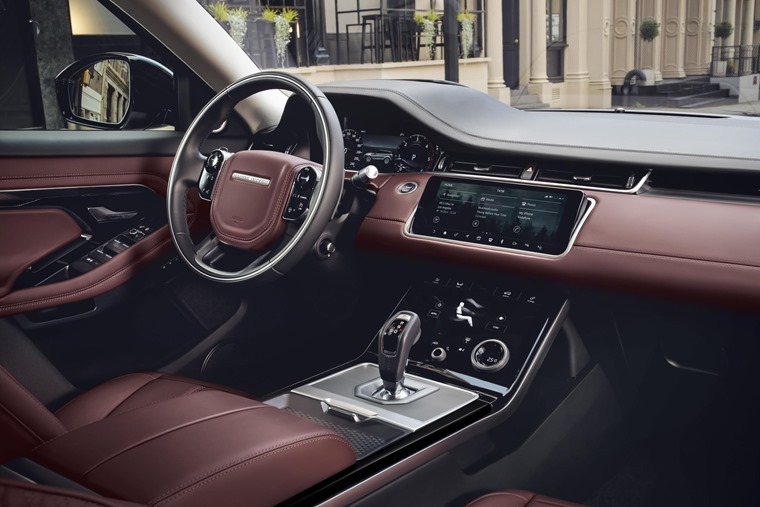 The Velar influences continue on the inside, with a 12.3in digital instrument panel, plush leather trim and two 10in infotainment touch screens featuring on the most luxurious models. 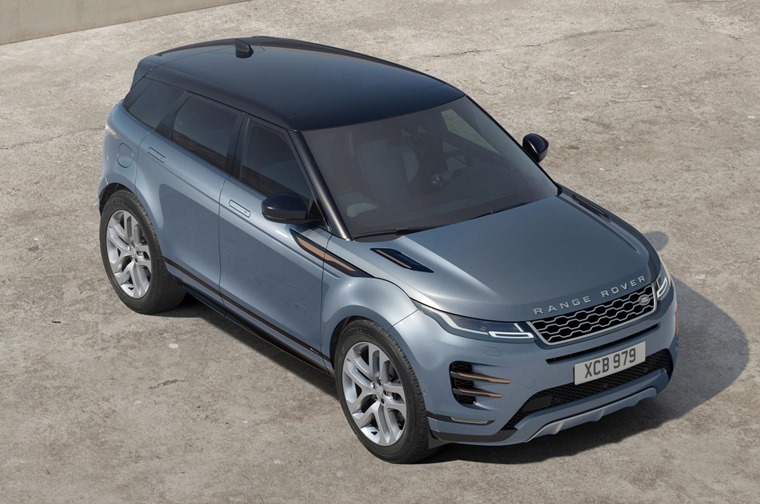 Entry-level models feature a 10in touchscreen with Bluetooth connectivity, although you’ll have to plump for the Evoque S to get satnav and Apple CarPlay. S trim and above also feature their own wifi hotspot, too. The Evoque SE and above features not one but two 10in touchscreens – one of which controls the air conditioning and climate control. At the top of the range is the HSE, which adds accoutrements like a Meridian sound system, a clever ClearSight rear-view mirror camera, radar cruise control and a set of 20in alloy wheels. Boot space has risen to 591 litres with the seats in place, despite the new platform actually being a little shorter than the outgoing model. Fold them flat, and you’ll get an impressive 1,383 litres of capacity. Don’t let the rather mild styling tweaks fool you: the Evoque is completely new underneath, featuring up to 90% new components. Six powertrain options will be available in total – three 2.0-litre petrols and three 2.0-litre diesels. The petrol unit is available with 197bhp, 247bhp and 296bhp, while the diesel units produce 148bhp, 178bhp and 237bhp respectively. With the exception of the least potent diesel, all models benefit from a new nine-speed automatic gearbox and get four-wheel drive as standard. The four-wheel drive system is Active Driveline – the company’s latest offering that helps balance the power sent to each wheel to ensure grip isn’t lost. 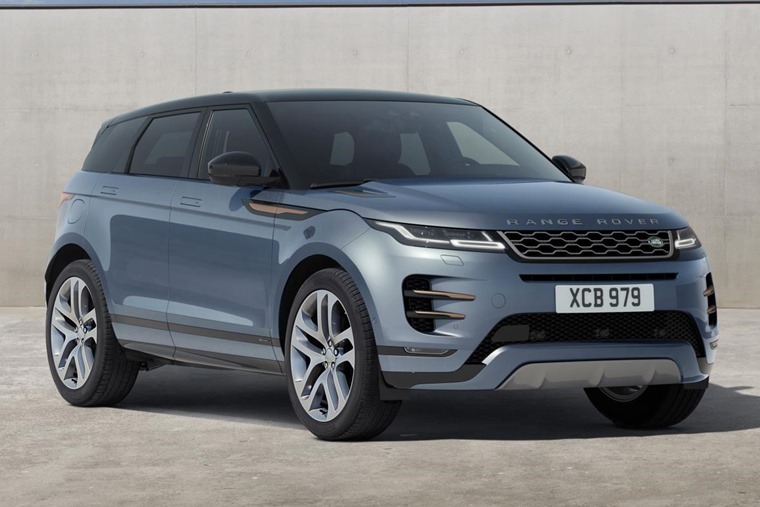 This should also make the new Evoque feel more composed on the road than the outgoing model. Driveline Disconnect is standard on most models, too. This is essentially a two-wheel drive mode that operates under certain driving conditions to save fuel. All the automatic variants will feature 48V mild hybrid tech, too. This cuts off the engine below 11mph when coasting, and uses a belt-integrated generator to assist acceleration if necessary. It’s designed to reduce delay in stop-start activity and eradicate turbo lag. 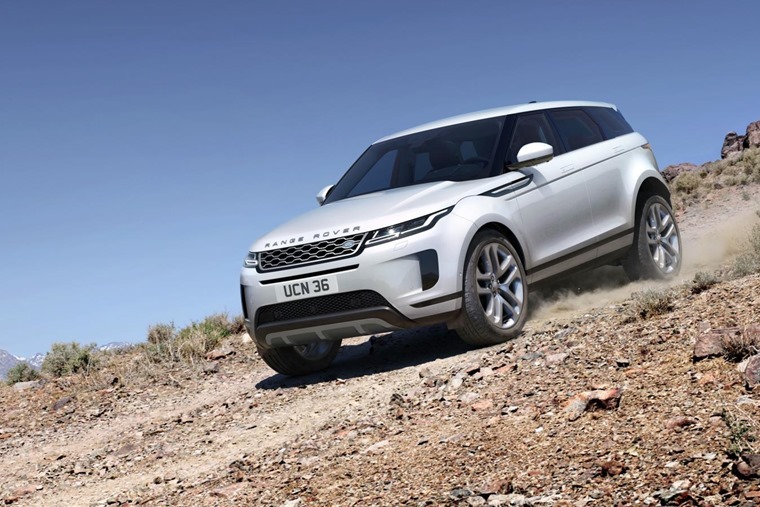 Land Rover claims it brings up to a 6% reduction in fuel consumption, while CO2 output falls by up to 8g/km. 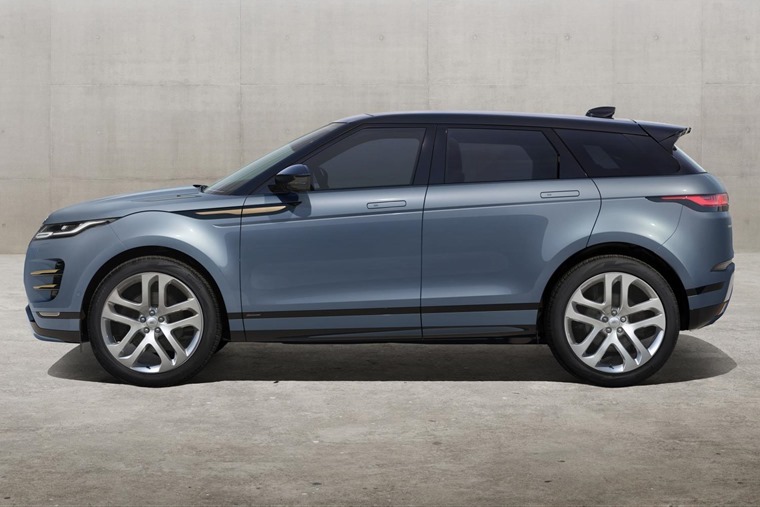 The Evoque will be priced from £31,600 when it arrives in spring, rising to a hefty £50,400. Lease deals are priced from around £350 per month.